I tried a light roast from Black Rifle Coffee Company, stepping outside my usual comfort zone of medium roasts. They roast to order, so it’s as fresh as possible, and they usually ship the same day you order. They focus on small batches. Their beans come from Brazil and Colombia. Beans from Colombia tend to be mild, acidic, and a little sweet. Beans from Brazil tend to be low on acidity, a little nutty, and a little chocolatey. Both tend to be medium-bodied. Even though I usually go for medium roasts, I’ve noticed that a lot of the ones I’ve ordered from other companies have turned out to be a little darker than what I’m used to. I didn’t want that to be the case again here, so I went with a light roast—Silencer Smooth Roast-this time. 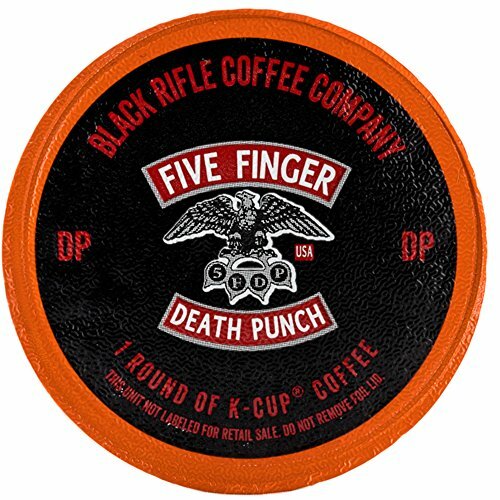 Just to be honest, the feel of the brand as a whole made me suspect all of the coffee would be darker than what I would consider light or medium. I’m glad I made that assumption. Again, this isn’t an unusual thing so it’s not a strike against the coffee I tried. The light seems like more of a medium roast to me. This is about as light as the blonde roast at Starbucks. At Caribou Coffee, though, light roasts are too light for me and I prefer a medium roast there. This coffee is made from 100 percent Colombian Excelso beans, which tend to be bright, acidic, balanced, and generally pretty mild. I’ve tried beans that were brighter and this didn’t seem especially acidic to me, but it was mild, smooth, and balanced. I’ll get into that later. There are several options, so your coffee tastes and brewing methods are covered here. There’s only one light roast, and it’s the one I got for this review. It’s the Silencer Smooth Roast, available in a 12-oz. bag or 5-lb bag. These are just called Instant Sticks. You won’t see a wide selection on the site. They’re 100 percent Arabica coffee. This part’s pretty straightforward and comes down to whether you have or want to use your coffee grinder. As usual, when testing out a new coffee, I used the 8-cup Chemex with a paper filter the first time. I used water right off the boil that stayed hot between pours in an electric kettle. There wasn’t much of a bloom and the coffee came out especially dark in color. I was a little surprised and decided to use less the next time. I had already used less than I usually do on an average day when I’m not reviewing coffee. If I’m not reviewing and I’m just trying to get myself through a busy morning or afternoon, I usually just pour the ground beans into the filter until it looks about right. The second time I made it, I used the Ninja Coffee Bar to brew a 10-cup pot. I measured the amount the scoop that came with the machine recommended, keeping it closer to the low end of the range. There wasn’t a huge difference in flavor between the two methods, but the pot I made with less coffee (adjusted for the number of cups) was more enjoyable. In fact, it was so enjoyable, I skipped the weekly trip to the local roaster I love so much. Black Rifle Coffee is something I could commit to drinking daily almost as easily as I committed to the local stuff. It seemed mellower, mild, smooth, and tasted incredibly fresh. Will I permanently convert to Black Rifle? I doubt it, due to the convenience and experience of going to a coffee shop. However, I’d have no problem drinking this every morning (and afternoon, when deadlines are looming and I need a recharge). In the bag, the coffee smelled promising. It was ground before it was shipped, so I can’t comment on the appearance or smell of the whole beans, nor can I say what the coffee smelled like immediately after it was ground. As it was brewing, I lost a little hope. It started to smell a little stale and over-roasted. Not promising. The good news, though, was that I had to really try to analyze the scent. 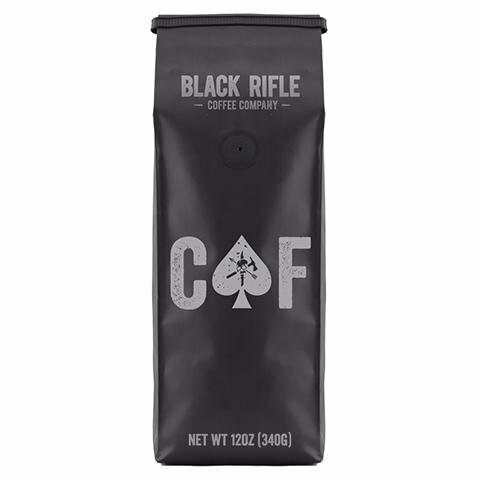 Some coffee is just bad (and I’m not calling the Black Rifle coffee bad here), so bad that it takes over the room or even several rooms of a house. From a distance, it was just your slightly above average coffee aroma as it brewed. It was pleasant. I wanted so badly to be able to pick out notes to tell you about in this review, but I couldn’t. It tastes like good coffee, but that’s it. Maybe it’s because the flavor is especially complex. I can’t say, “Oh, this tastes like it has citrus notes and a hint of floral” or anything like that. It’s just good coffee. There was no ashy aftertaste, which I appreciated. Sometimes I get that from certain brands or roasts. This one just satisfied my craving for coffee, didn’t taste especially stale, and generally made me happy to have found another winner. 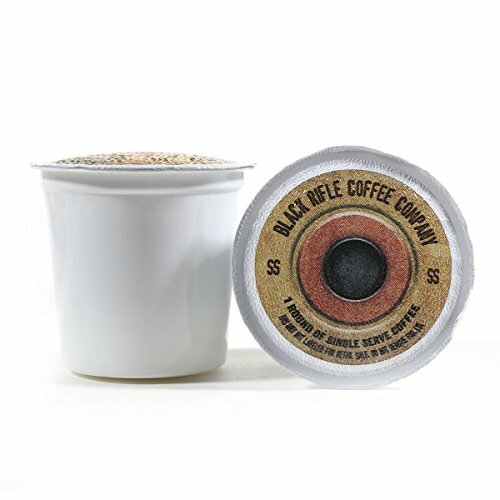 This is a smooth, mellow coffee with a medium body. It felt creamy but not heavy. It was far from syrupy, but also not thin. It was a satisfying, mild middle ground, perfect for summer days when you still want hot coffee. I’m not sure how it would perform as an iced coffee; I didn’t try it that way and usually prefer to use darker, heavier blends for that so they can stand up to the ice with ease. I felt alert but never really got jittery after I drank this (both times). I also noticed that I didn’t really crash after I had it, either. That’s usually more of an issue for me if I have a cup in the afternoon, which is what the Chemex round was. My energy was even and sustained. I can usually drink coffee even late at night and then sleep fine no matter what, but after I had this around 7:00 one night, I had trouble falling asleep around 11:00. I actually love the packaging. It’s the traditional bag that most coffee comes in, but it’s got a sleek matte black finish with a simple silver design on the front. There’s nothing unusual about the packaging materials but the aesthetics are great. They keep the focus on the coffee and represent what the company is all about. Some packages are mostly black, with less of a contrast between the bag itself and the writing. Some—like the limited edition Freedom Fuel—have a little extra, albeit still muted, color. It still fits within the brand quite well, though. 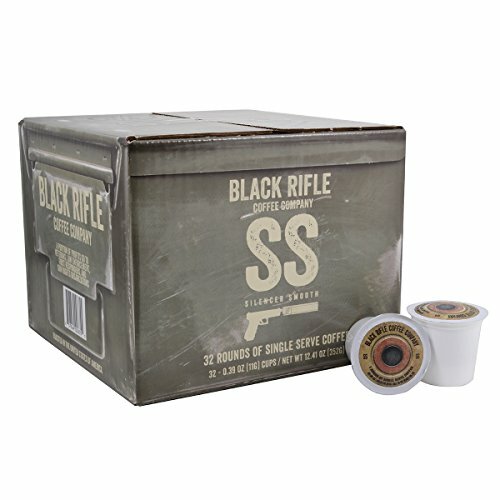 You can order on the Black Rifle Coffee Company website, which is where I found the best deal. If you do like it, you can set up a subscription. Get it every 14, 21, 30, or 60 days and save about 50 cents per single bag. When you have a subscription, you also get free shipping. Without the subscription, expect to pay around $15.00 for a 12-ounce bag. Set it up to get one, two, three, or four bags each time. When you order more than one bag, you save more money. You can also buy 5-lb bags of some roasts for about $75.00. If you refer a friend, they save 20 percent and you get $5.00, so you can effectively get a bag of coffee for around $10.00. 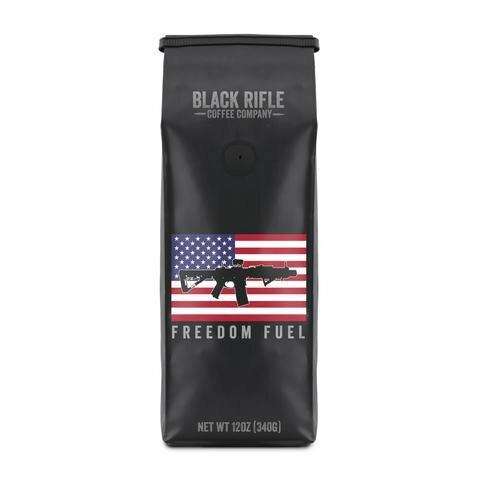 Black Rifle Coffee Company shipped my coffee fast. I ordered on Saturday night and they shipped it on Monday. The coffee traveled from Mount Juliet, Tennessee to the Atlanta, Georgia area and I had it by Thursday afternoon. They used FedEx Economy Shipping and it was delivered by USPS. Only Amazon and the prices are higher there from what I saw. You can also check their Dealer Map for stores that sell it near you.